(M20 2.5/2.7L Inline 6 - 85MM Bore - MLS .070") Built for the (77-95) BMW Mini Cooper... 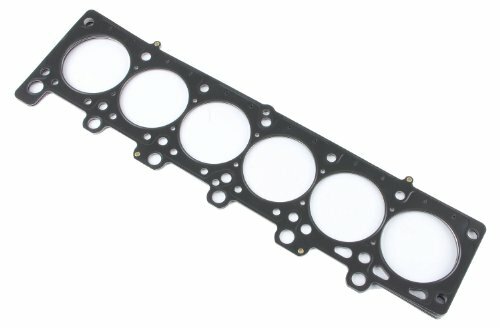 The Cometic MLS gasket is comprised of three layers of Stainless Steel. Cometic uses Stainless steel for increased strength, its ability to rebound and corrosion resistance. The outer layers of the gasket are embossed and coated on both sides with a flouroelastomer rubber based material (Viton) designed to meet the demands of a variety of harsh sealing environments, load conditions and surface finishes. The Viton coating is heat resistant to 2500C or 4820F.The center or shim layer of the gasket is comprised of an uncoated Stainless Steel layer, which can be varied to accommodate multiple thickness requirements. The MLS gasket is ideal for both aluminum heads to cast iron blocks and aluminum heads to aluminum blocks.The composition of MLS will also withstand the shearing forces created by aluminum heads on cast iron blocks. No re-torque is necessary. By design the MLS gasket promotes an even torque load across the sealing surface allowing for measurable reduced bore distortion. M20 2.5/2.7L Inline 6 - 85MM Bore - MLS .070"